​Defying Spanish PM Mariano Rajoy’s insistence that he would not allow a referendum on independence for Catalonia, Artur Mas, the Catalan president, said a “knee-jerk” reaction to block it would seriously damage Spain’s image in the world. 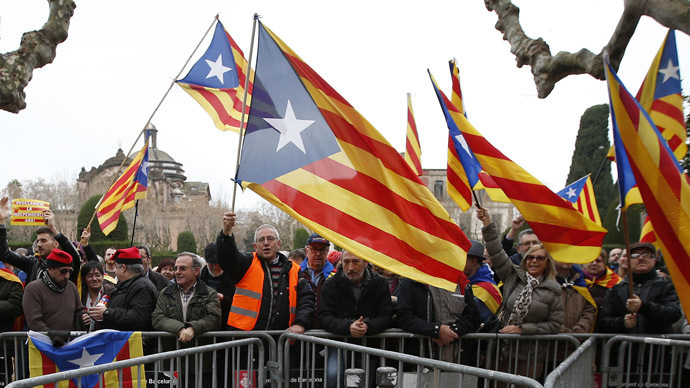 In an interview with Catalan newspaper La Vanguardia, Mas said that the referendum on independence – scheduled for later this year – would not endanger Spanish sovereignty. “If I call a consultation, neither to declare the independence of Catalonia nor to break with the Spanish state, but to know the opinion of the citizens of this country, a knee-jerk anti-democratic response from Spain would be pretty bad and disgraceful in the view of the entire world,” Mas said. “There will be no independence of Spanish territory while I'm [prime minister]," Mariano Rajoy said in an interview on Antena 3 TV last week. 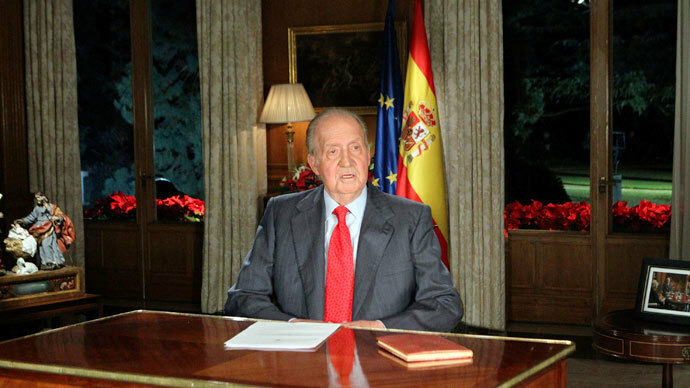 He added that the “union of Spaniards” is what makes the country great and the majority of people are against Catalan independence. Rajoy has threatened to go to the country’s Constitutional Tribunal to block the referendum. The government of the autonomous region of Catalonia has set a date for the referendum for November 9, which Madrid has condemned as “unconstitutional.” However, Mas insists that the referendum will pave the way for negotiations with Madrid for the possible formation of an independent Catalonian state. "It is what I call the solution tolerated by the central government. They let us hold the consultation, they don't get involved, and afterwards we go to Madrid to negotiate," he said. 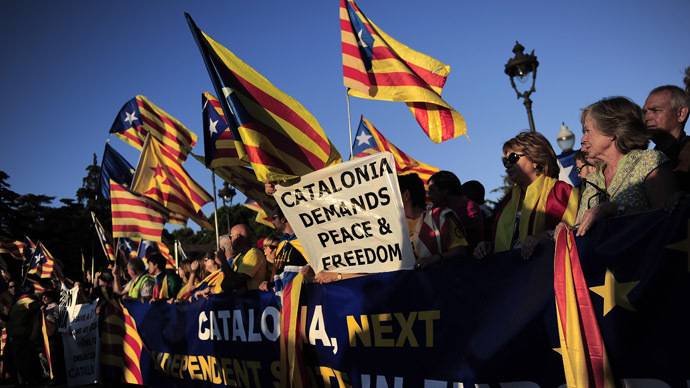 The independence movement in Catalonia has gathered momentum and popularity over the past three years in a climate of economic unrest and recession. Over half the population of the autonomous region is for independence and an even larger percentage believe Catalans should have the right to vote on the contentious issue. Catalonia is Spain’s most well-off region economically, and is responsible for around one-fifth of the country’s GDP and one-quarter of its taxes. It has a population of 7.6 million people, 36.2 percent of which have Catalan as their mother tongue, according to the Catalonian Statistical Institute. 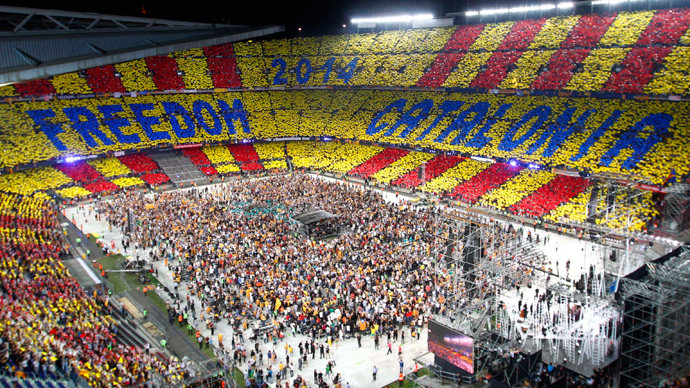 Mas has attempted to drum up support for the Catalonian bid for independence, calling on European leaders to offer their support. If the region were to gain independence, it would automatically lose EU membership and have to reapply. Spain’s ruling People’s Party carried out a survey into the number of Catalan citizens that would support independence outside the EU and found only 35 percent would vote for such a move.